Provide Federated SSO for SaaS and on-premises applications. More and more, the applications that run your business expand beyond your organization’s control to cloud-based services and partner-hosted websites. With so many separate sets of credentials and different login processes to keep track of, users want a simpler, more convenient way to access the applications they need ̶ regardless of where the application resides. Your users put their trust in your organization to ensure that their access is secure and their identity and information is protected. 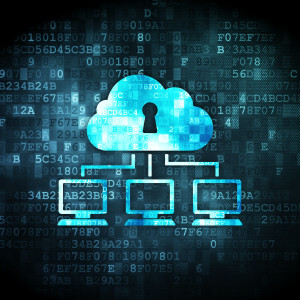 CA Single Sign-On SaaS helps your organization ensure just that, by providing secure and protected user information. CA Single Sign-On SaaS combines the power of a reliable, identity federated single sign-on solution with the benefits of a cloud-based service with just one set of credentials. Hosted by CA Technologies, CA Single Sign-On SaaS helps you accelerate deployment time and reduce the ongoing cost of application and infrastructure management involved in procuring hardware, installing and configuring software and maintaining on-premise security solutions. In addition, end users receive a more convenient single sign on experience that is consistent with how they access applications within their organization’s domain. Even better, CA Single Sign-On SaaS allows visitors to use social media credentials like Facebook, Google or LinkedIn for a single login, single logoff experience with reliable federated SSO of identity attributes. CA Single Sign-On SaaS lets your IT organization control single sign on and authorization to applications whether in a cloud-based federation hub, a partner-hosted application or other on-premise applications within your own organization. This unique combination can provide a better experience for end users and stronger business partnerships while reducing operational overhead. Provide single sign-on across on-premise and cloud services. Establish partnerships with pre-tested applications. Create new user accounts quickly. Configure policies to protect user information. Save time and resources on deployment and maintenance using cloud-based service. Simplify user experience with federated single sign-on. Control security of identity information on external applications. Build your customer base by allowing log in with social media credentials.